We are ideally located for those who want to explore the island on a motorbike as it's only a 10 minutes' drive to Koh Lanta's northern or southern beaches. We also offer our guests the possibility to book various tours and activities so as to discover the pristine beauty of Koh Lanta and its surroundings. 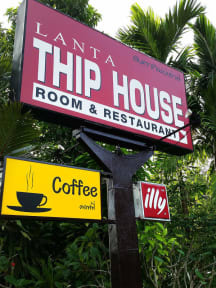 Thip House has a restaurant, where chef Oum prepares delicious Thai and Western dishes, and where we serve a good breakfast and fresh coffee in a comfortable and homely environment. At Thip House, we make sure our guests feel welcome at all times, offering them a home away from home and a genuine feeling of hospitality, while ensuring them the best of comfort in our modern and well-equipped rooms. 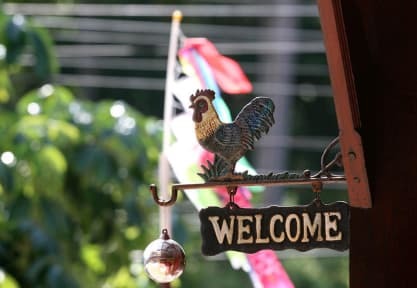 See you soon and we hope you will have an enjoyable stay at Lanta Thip House!